Buying a property is one of the most significant financial decision one can make in their lifetime. 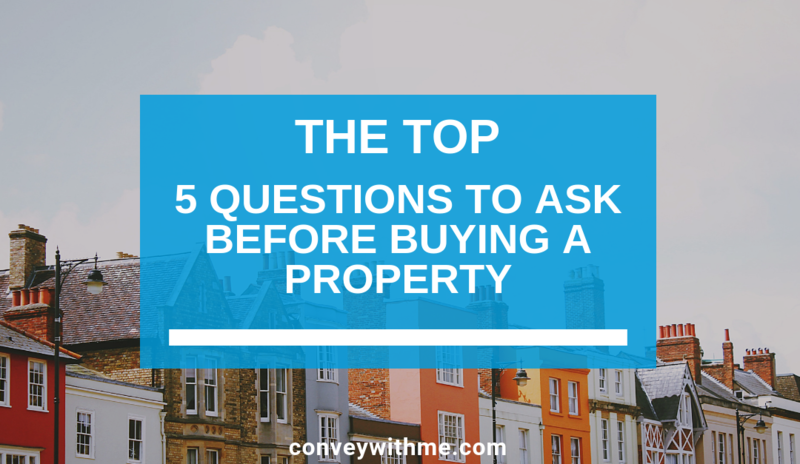 In this article, we list the top 5 questions potential buyers should ask before buying their next home. 1: Is the property Freehold or Leasehold? In most cases terraced, semi-detached and detached properties are freehold, however, this might not always be the case, just as some flats or maisonettes may not be leasehold. It is important you ask both the estate agent and your solicitor before taking any major steps to purchase the property. Learn more about freeholds and leaseholds. 2: How long is the lease? Unbeknown to most, a short lease means you’ll have issues obtaining a mortgage loan. Leases under 80 years in length are considered short and most lenders refuse to lend on properties that have a lease under 70 years. Renewing a lease can be costly with freeholders sometimes asking in excess of £12,000 although guidelines and calculators exist the final extension value will need to be negotiated upon. 3: Is the property listed or does it have any restrictive covenants? Owning a Listed property means that you’ll need to obtain special building consent before you can carry out any changes to the property. This ensures the architectural interest of the building can be preserved. Breaking the rules means you’re committing a criminal offense! The older the property the more likely it is to be listed. Although you’ll learn about this during the survey process we recommend you ask the estate agent in order to avoid any unnecessary fees or issues. Restrictive covenants were used often in the past, there is a chance that the property you are interested has a restrictive covenant placed on its title deeds. For example, the restrictive covenant may state that you are ‘not to erect any outbuildings within your boundaries’. Sound scary? Consider purchasing our buyer protect reimbursement product designed to safeguard property purchasers if and when a property purchase goes wrong. 4: Does the property have gas central heating? This might sound like a rather unimportant issue, however, a property that does not have a new heating system is likely to be inefficient and therefore means it will be costly to heat the property. It’s also important to consider that installing a new heating system can cost between £2,500 – £4,500 depending on the size and complexity of the install. 5: What’s the local area like? Moving into a new area can be quite nerve-wracking, meeting with a local estate agent means you have the opportunity to ask questions like how good are the local transport links, what are the local schools like and what is the crime rate like? Need help finding a suitable solicitor for your property purchase? The team at Convey with Me is committed to making conveyancing easier. Get in touch with us on 0191 341 0113 for a free conveyancing quote or fill out the form on our website.